Originally called mahiz by Native Americans, maize is a grain more commonly known as corn. Maize comes in several varieties, such as popcorn and dent corn, which is ground and used for products such as corn chips. 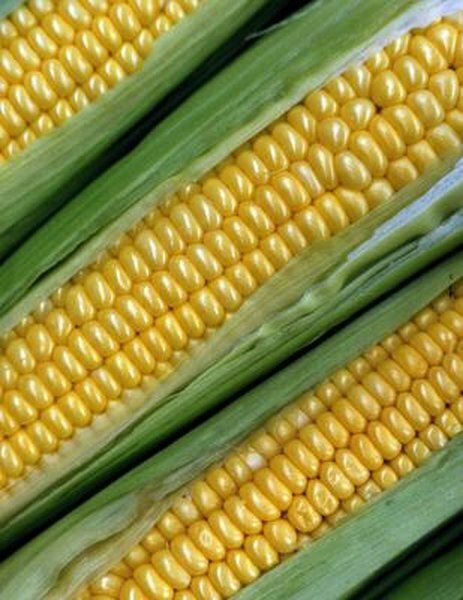 Sweet corn is the variety that can be eaten right off the husk. It’s a good source of fiber, potassium, vitamin C, and other vitamins and minerals. Sweet corn is a variety of maize with a high sugar content that softens when heated. It should be eaten as soon as possible after being picked because the sugar turns to starch, causing the kernels to lose flavor. Heat speeds up that process, so refrigerate or freeze corn until you’re ready to use it. One cup of sweet corn contains 125 calories, 5 grams of protein, 2.9 grams of dietary fiber and 27 grams of energy-providing carbohydrates. The total fat content of 1.9 grams includes no cholesterol and 1.4 grams of healthy unsaturated fats. A cup of sweet corn contains 10 milligrams of vitamin C, which is an important antioxidant and also necessary for the synthesis of collagen. It provides all of the B vitamins except vitamin B-12. A one-cup serving delivers 0.23 milligrams of thiamine, 0.08 milligrams of riboflavin, 2.56 milligrams of niacin, 0.14 milligrams of vitamin B-6 and 61 micrograms of folate. Collectively, these B-complex vitamins help you form red blood cells and support your metabolism. Corn contains a small amount of vitamins E and K.
Opt for yellow corn over white varieties to boost your vitamin A. Yellow corn contains 271 international units of vitamin A per serving -- 15 percent of the recommended daily intake for women, set by the Institute of Medicine -- while white corn offers a paltry 2 IU. Vitamin A keeps your immune system robust and able to fight off illness, promotes healthy skin and aids in red blood cell growth. It's also essential for healthy vision, especially at night. One serving contains 3 milligrams of calcium, but this is just a trace amount based on the recommended daily intake of 1000 milligrams per day established by the Institute of Medicine. Corn provides 0.8 milligrams of iron, 129 milligrams of phosphorus and 392 milligrams of potassium, compared with recommended adult daily intakes of 4,700 milligrams for potassium, 700 milligrams for phosphorus and 8 milligrams per day for iron. Corn also contains 0.24 milligrams of the trace mineral manganese, which functions as an antioxidant and is essential for metabolism.